People always tell me that I have a great tan or that I always look tanned. They ask me where I went on vacation…….Florida, but 3 months ago! This is probably my favorite bronzer right now. I use it for contouring, eyeshadow, blush…heck i use it for everything. It is a matte finish so it is multi-use. As you can see it is the most used. 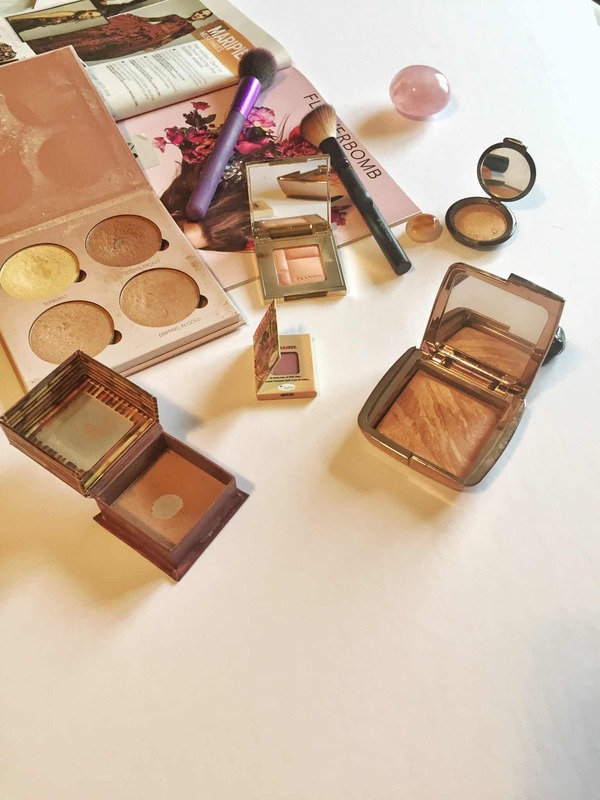 I love the luminosity of the light bronzer – it goes on light and you can build on it. Luminous Bronze Light- a medium tan shade fused with Luminous Light, a champagne pearl powder, for a softer, candlelit warmth. All of Anastasia’s palettes are popular choices – I really don’t think you can go wrong. I love all the shades and mix and match them. I received this in my Ipsy bag and am loving it. I received this as a gift with purchase. I love the softness of this blush. Leaves me glowing. This is a nice alternative to the Anastasia Palette – I received this is a Sephora Favorites box. A creamy, luminizing powder highlighter to light up the features you love with a high-shine finish. Achieve a refined glow in any light with this bestselling highlighter. Shimmering Skin Perfector™ Pressed is enriched with ultrafine luminescent pearls that absorb, reflect, and refract light to amplify your natural radiance. Like a compact full of crushed gemstones, the multi-toned pigment pearls adjust to your skin’s natural undertones. They’re perfect for intense highlighting or layering to create a truly unique glow. Unlike traditional methods, the one-of-a-kind formula blends pigments with liquids, providing an unparalleled, creamy application with balanced color coverage. The result is a high-shine, elegant shimmer finish that doesn’t look glittery. Are you getting your glow on? I have/loveee the Becca highlighter, definitely the BEST purchases ever. I’ve been trying to find a good matte bronzer, I’ve been using a cheap NYC one but now I think I’ll try this Benefit one 🙂 thanks for the suggestion!!! I wish people would ask me if I had just gotten back from vacation all the time – my tans always last a week and then start fading immediately. And my tans are usually pretty sad too. The Benefit one is a big hit!